Screen-worn leather boots worn by myself in the scene where Alison Janney's character takes out the trash towards the end of the film. The particular scene has myself and other extras taking photos and asking LaVona Harding questions, in her yard, as she takes out the trash. From my knowledge, this is one of many recreations of real-life events that took place after the Tonya Harding scandal. The casting agency asked extras to bring a selection of their own wardrobe that looked "90's." In my closet were these boots .I can guarantee that it is myself in the scene and I only have one pair of boots. 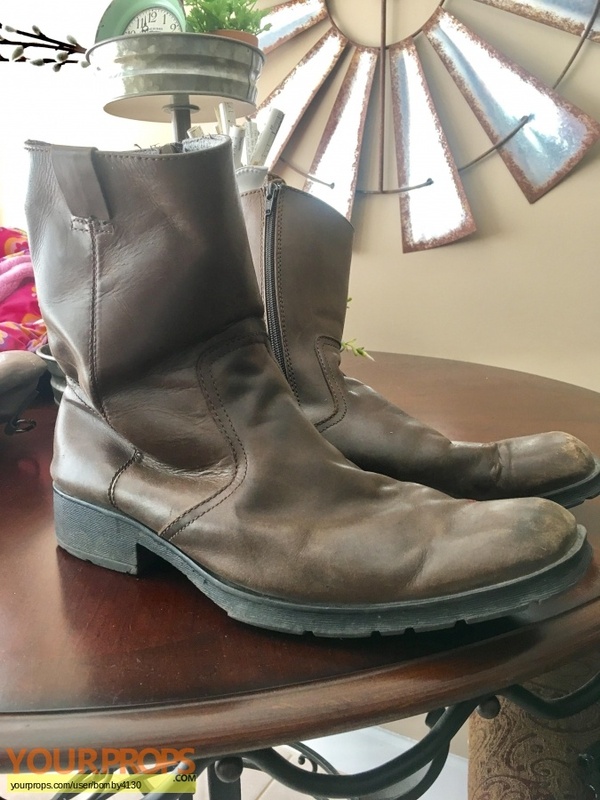 They are a size 11 men's leather brown boot by shoe designer Steve Madden.